After last year's Chase For The Cup confusion, NASCAR has overhauled the way it picks a champion. You can read about it here and, maybe, understand it. 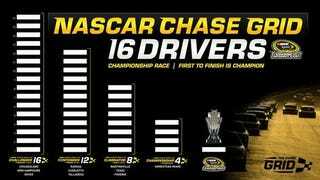 There's now something called "The Chase Grid," which sounds like a terrible '80s Tron spoof starring Chevy Chase. Can you make it clear to us in <500 words?